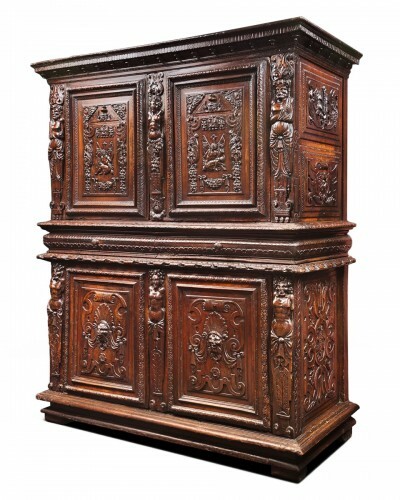 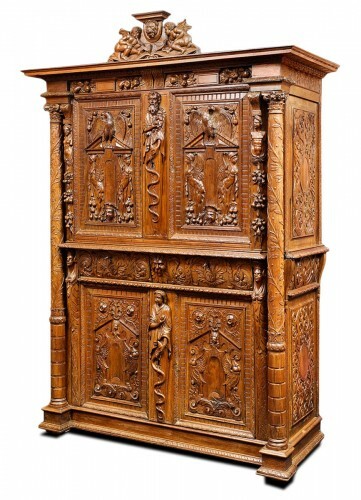 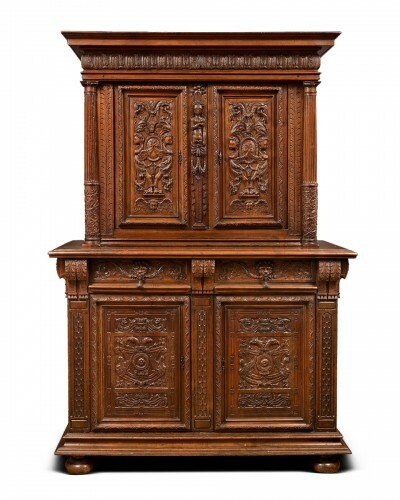 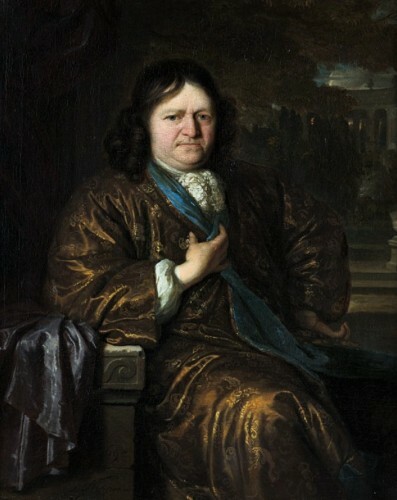 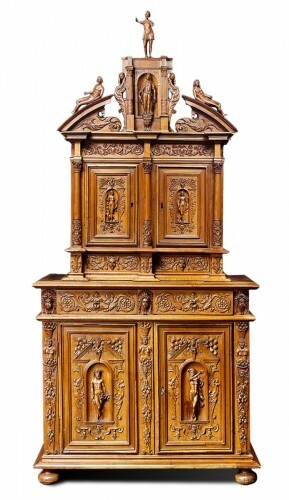 Cabinet composed of two parts, The cabinet Vargueno on the upper part and a chest on lower part. 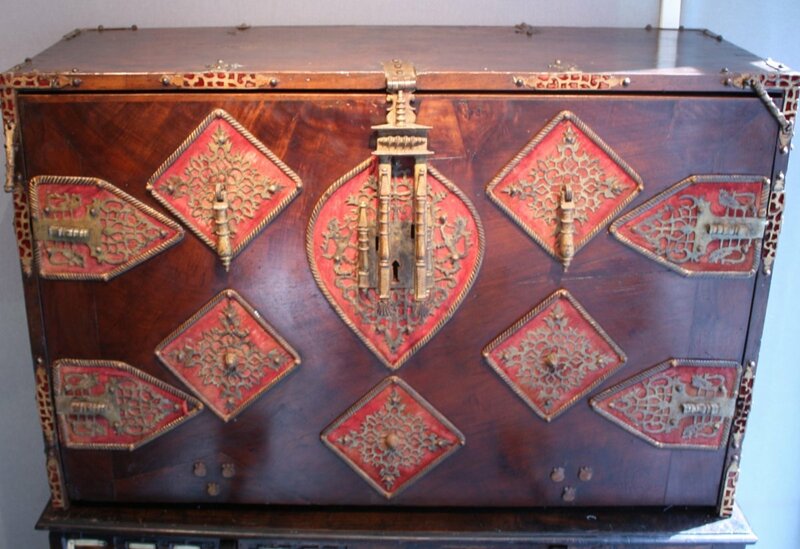 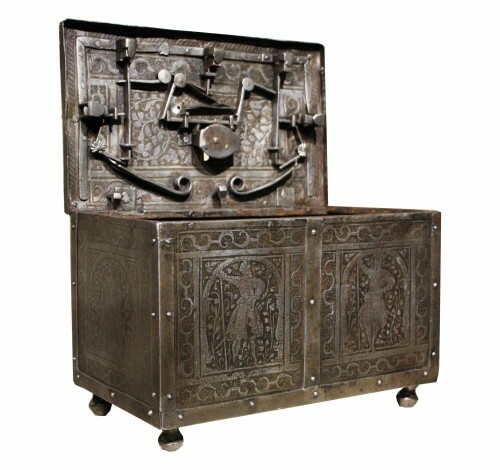 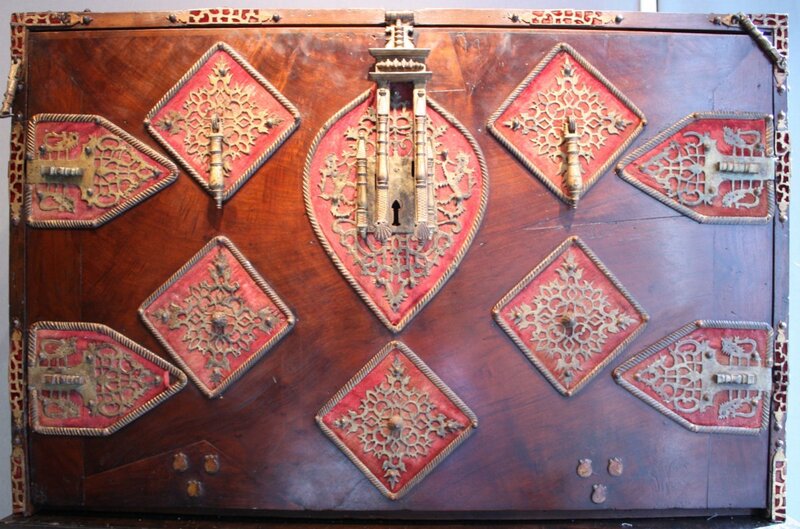 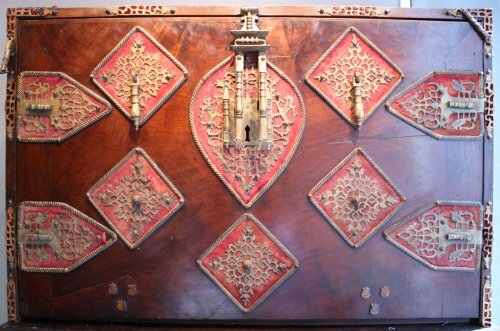 It closes with a flap decorated with openwork arabesques gilt wrought iron on a red velvet background. 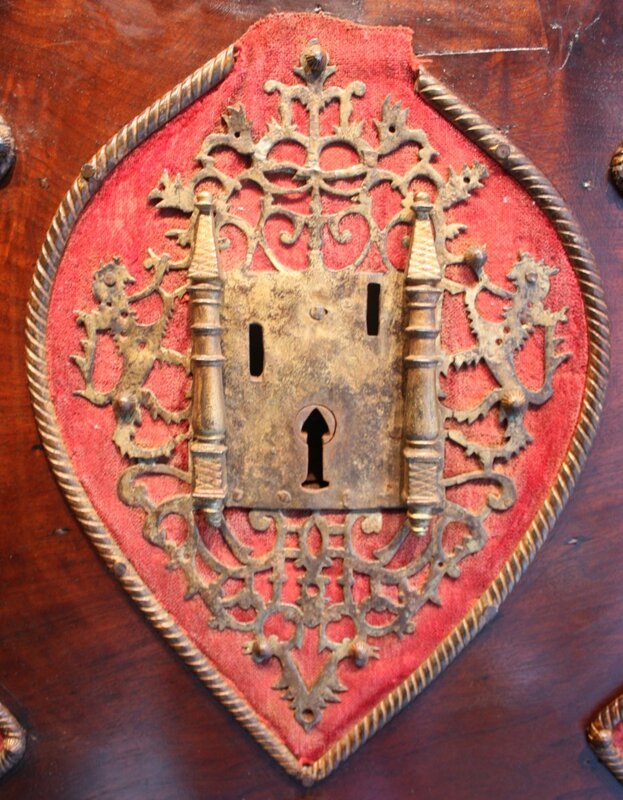 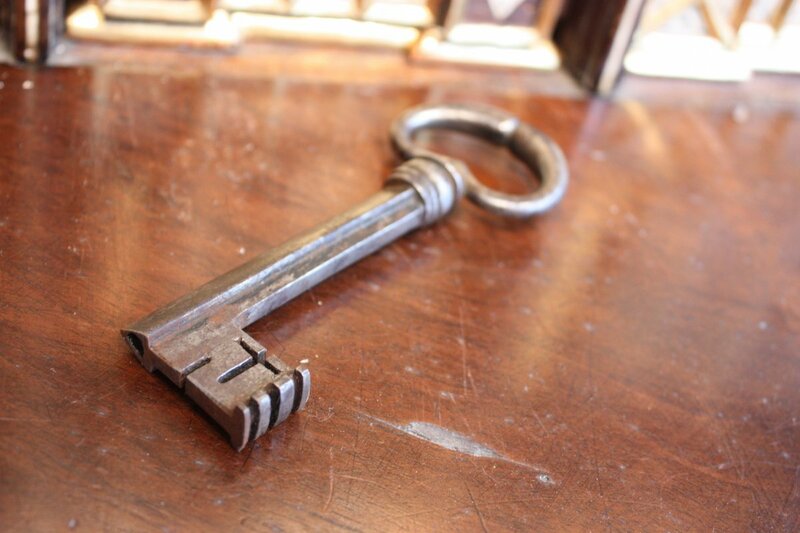 The large double lock hasp allows the front closure and forged iron handles on each side for easy transport. Once opened the flap is supported by zippers decorated with Saint-Jacques shells. 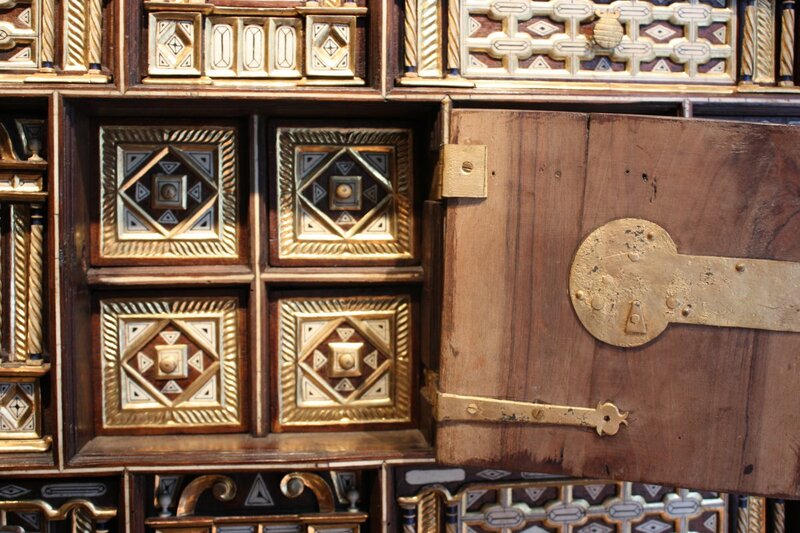 The Vargueno present inside drawers 18 and a central door. 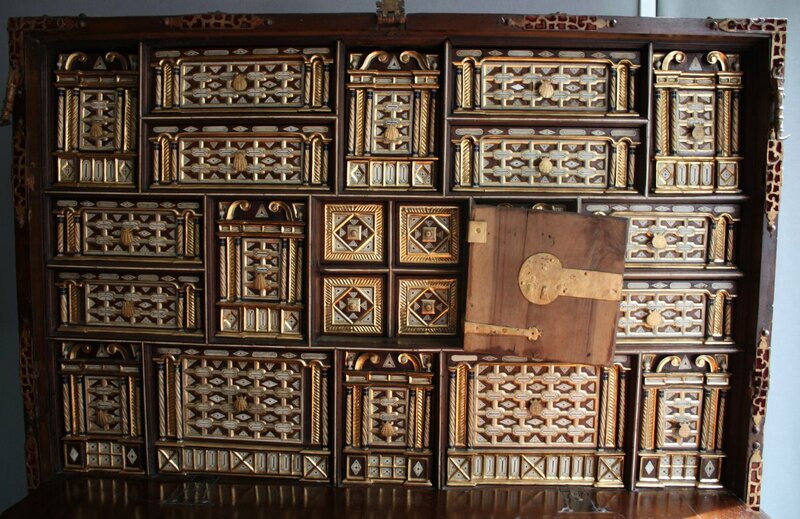 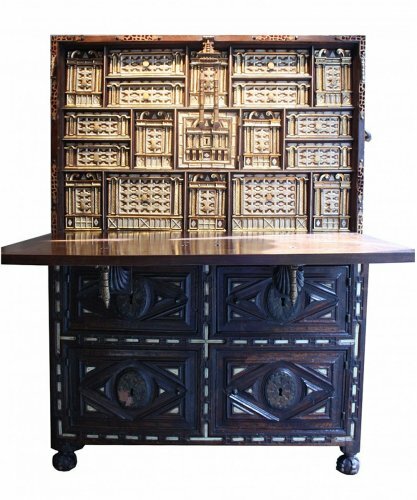 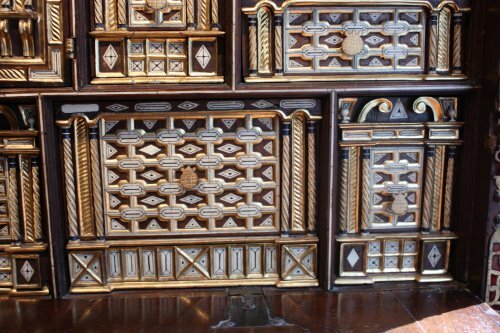 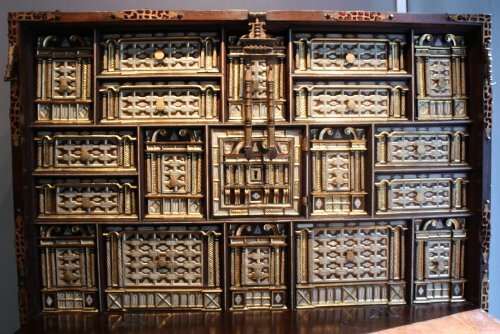 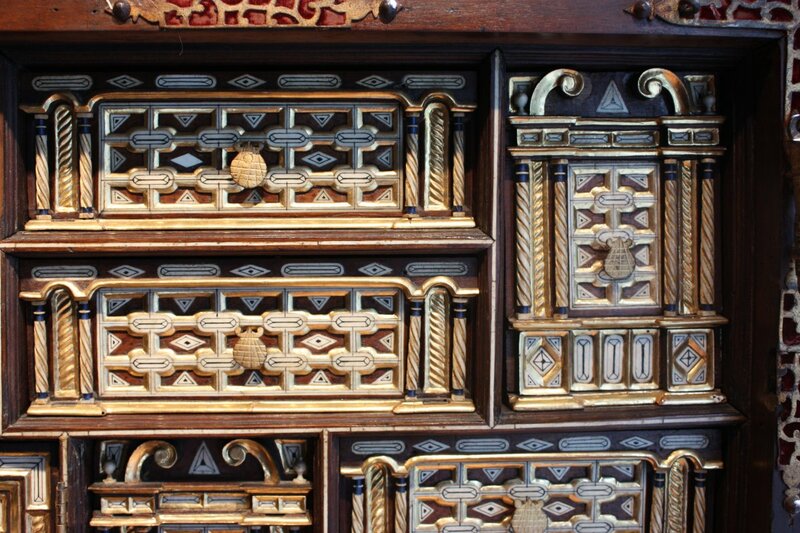 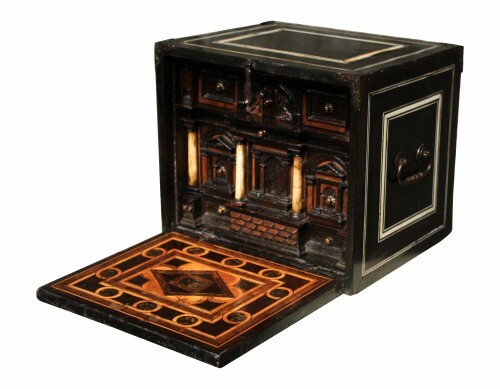 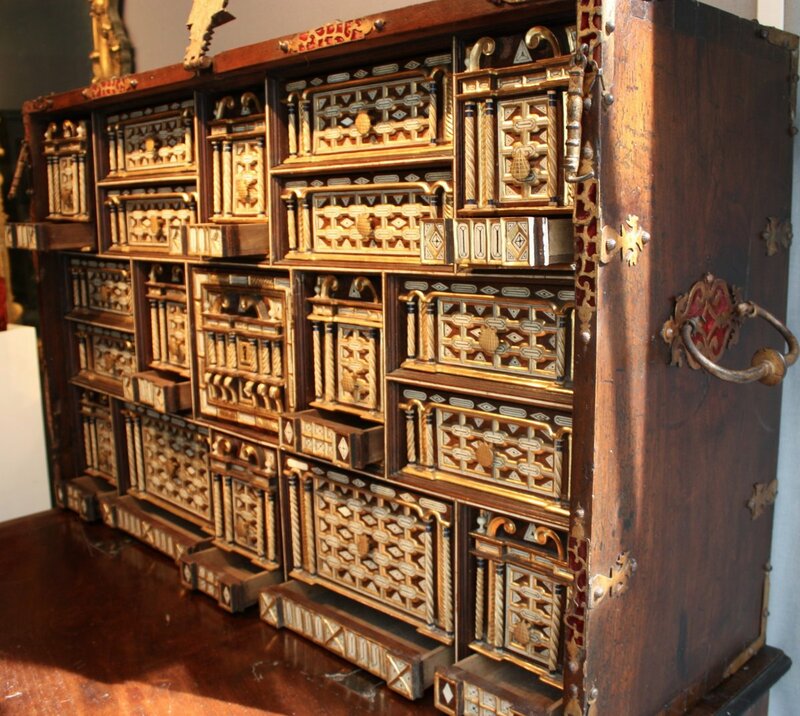 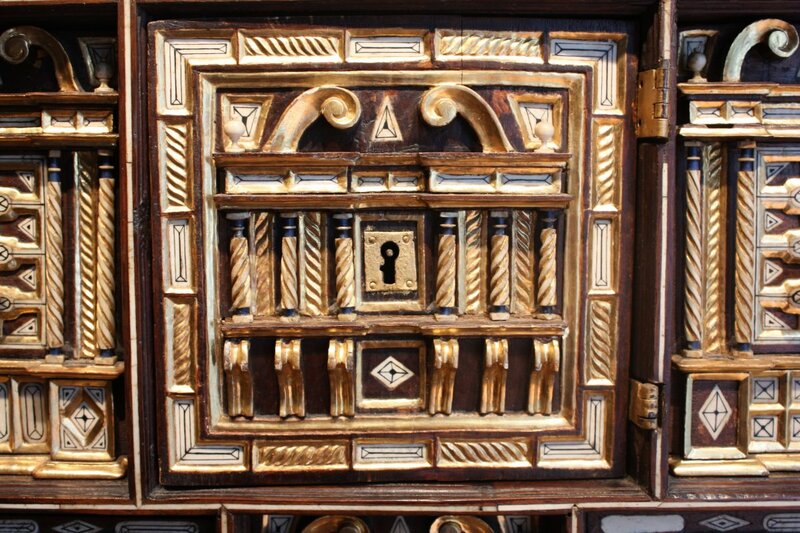 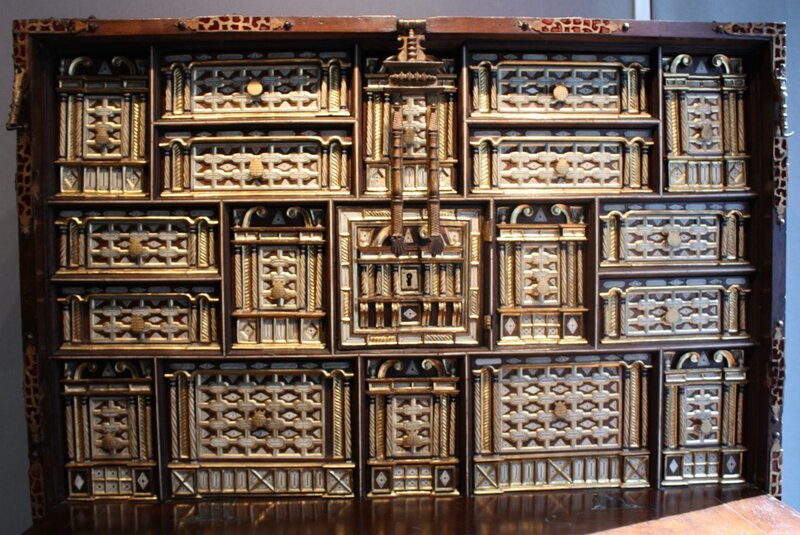 Each drawer flanked by pair of twisted columns gilded bone that looks like a palace entrance and is inlaid with bone with geometric decoration. 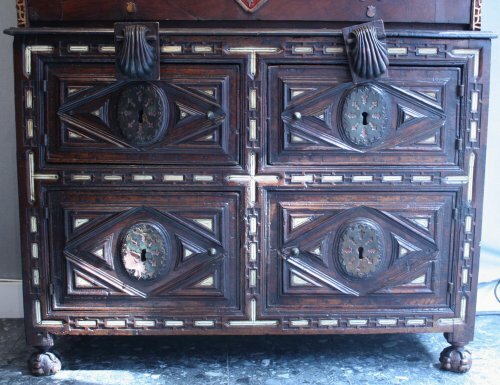 The knobs shaped St. Jacques shells. The drawers frames are molded and inlaid with bone nets. 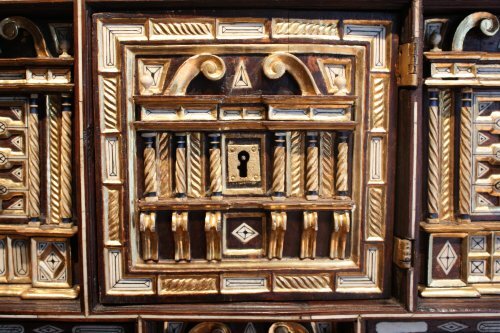 The central door has a keyhole surrounded by three columns twisted, discovering four drawers inlaid with geometric decoration of bone and giltwood.